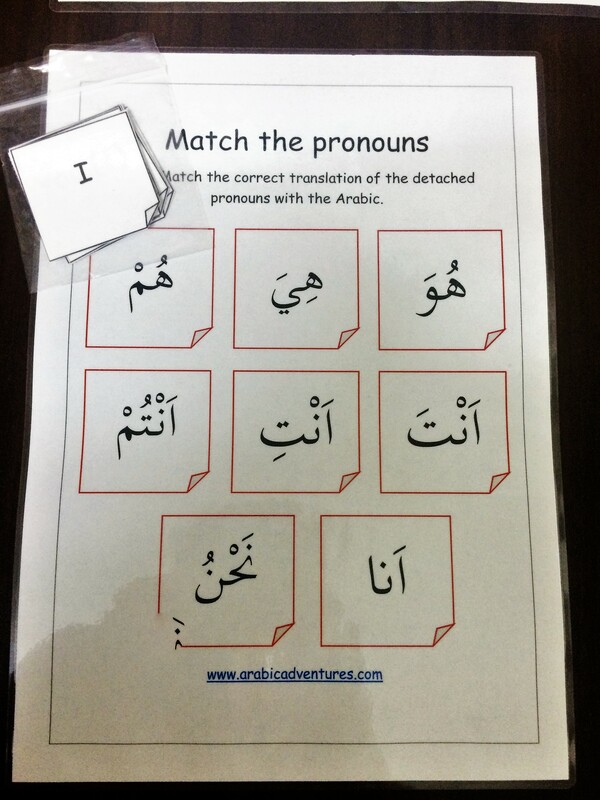 Here is a good hands-on activity to help students review Subject pronouns in Arabic. It is a match up activity and can be used in a variety of ways. An example would be to set up a competition in the class to see how fast students can match up the pronouns to their meaning. When we played this game, the kids had so much fun and I loved seeing them enjoying Arabic so much alhamdolillah. I printed out enough for each child to use and laminated both the mat and the cut outs to allow me to use this resource across the school. I now wish I had printed it double sided to save paper but it works out fine either way. 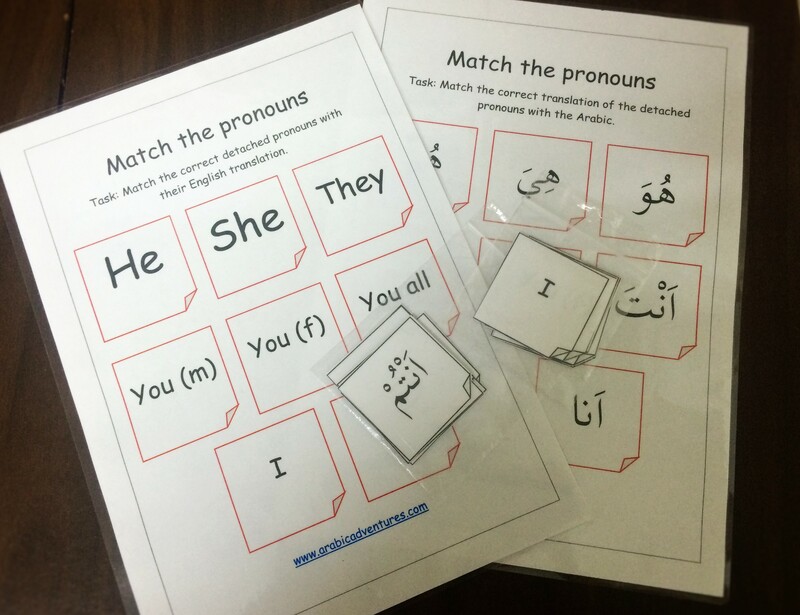 This entry was posted in Arabic Grammar, Games and tagged arabic for kids, arabic game, arabic grammar, Arabic language resources, arabic subject pronouns, detached pronouns arabic, Quran curriculum. Bookmark the permalink. barak Allah ta’aala feeki sis. I have been searching all over the web for interactive and fun Arabic grammar activities and not just plain boring worksheets. This is truly unique and very interactive. Love it and my kid will find it easy learning pronouns with this activity!!! Great resource! I’m an ESL teacher in the US. Would you be able to post an answer guide? I don’t speak Arabic but I have lots of Arabic speaking students who would love this game. May Allah Glorify be He reward you for your efforts. I am an Arabic teacher in Canada. I find these posts very useful. Jazakum Allahu khayran.